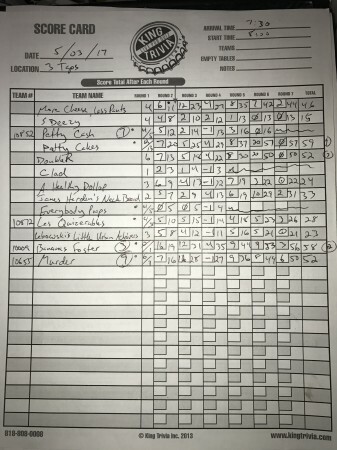 Whoa, what a tough night of trivia at 33 Taps this week! And though there were 10 worthy competitors, Leiderhosen Me Off snagged an early lead and never let it go! They were awarded a $20 gift certificate for their brilliance. Second place went to Risky Quizness who got $15. The top three teams also got some pretty nifty swag from this week's sponsor, including shirts, glass mugs, a portable cooler and more! See y'all every Wednesday at 33 Taps! 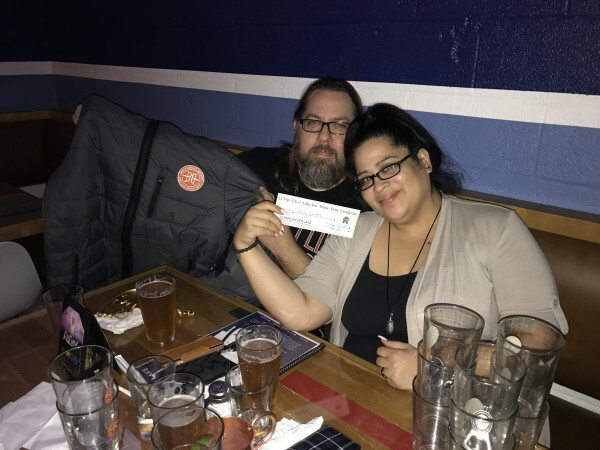 In second place for the smaller of two gift certificates, Bananas Foster took it home, but the top thee teams also received prize packs supplied by this week's sponsor, Angel City Brewery. Cool sunglasses, comfy t-shirts and a water bottle went to the three top teams. If we reach 15 teams, we get to add another prize level, so the top 3 teams will all get gift certificates! Join us next week and make it happen! We still have plenty of room. And the food... Besides the to-die-for skillet cookies (ala mode, of course), Quizmaster Travis Richey has been trying out something new from the menu every night. Tonight it was the Bacon Mac & Cheese and the Bacon & Chicken Caesar Salad. YUM. 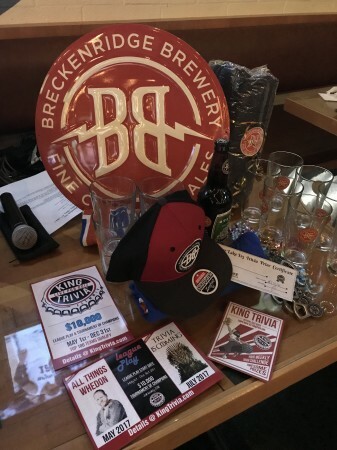 Fantastic night of trivia this week at 33 Taps! We almost hit a record with 13 teams playing (15 teams and we get to give away more prizes!! ), and our first tournament game of the year was a doozy! First and second place were only separated by ONE POINT, and there was a tie for third! 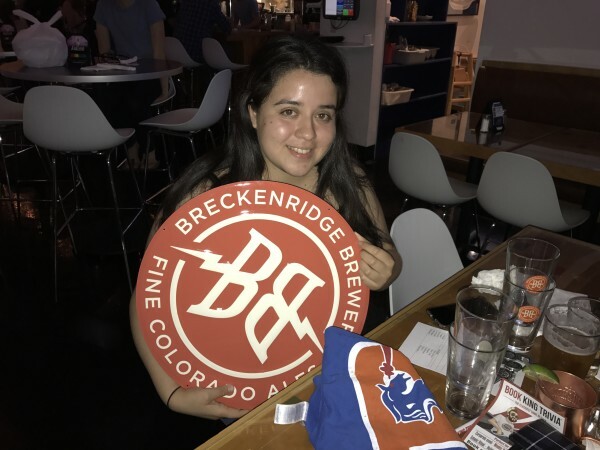 In the end, Patty Cakes took the top spot, the largest gift certificate, and the prize package from this week's sponsor Breckenridge Brewing! Second place went to Bananas Foster and third to Double R after they won the tie-breaker question.